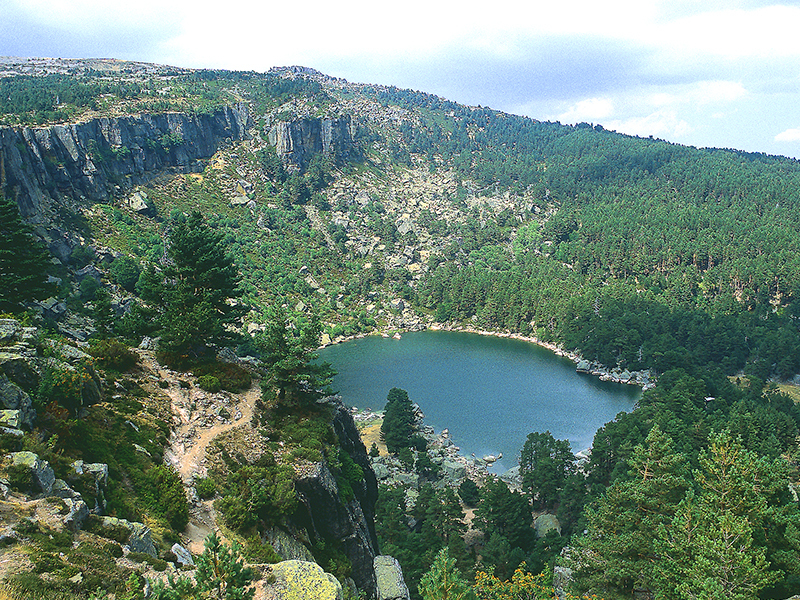 Urbión viewed from the highest point, the large patch of forest that cover the greenest Soria. This area is one of the most productive and affable provincial geography. Flora living in the area is more common in northern Europe to the Iberian Peninsula. The aquatic vegetation is comparable to that of other mountain lakes north of the peninsula and the small plants up lawns are formed on the bottom and along the growing others floating on the surface. 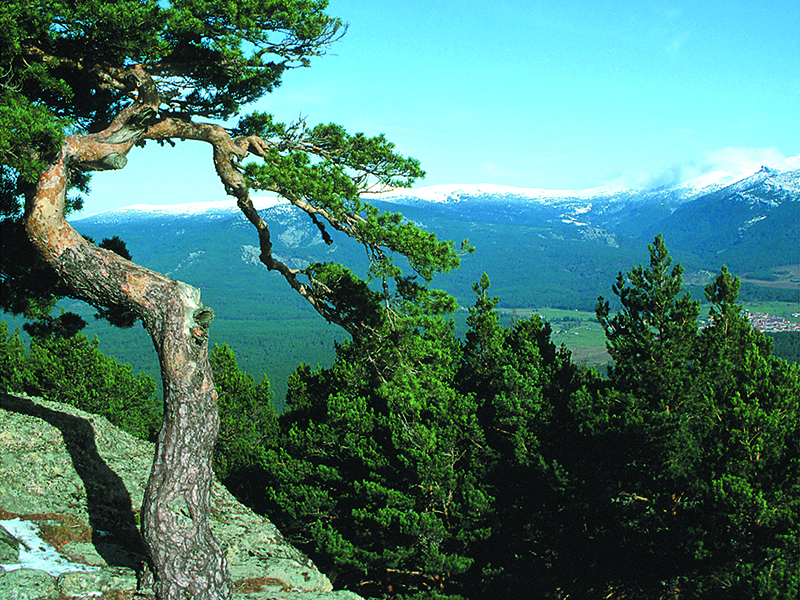 On land abound different tree species among which are the beech that creates a closed shared with Scots pine, king of the territory that forms large forests understory. Sessile oak, birch, aspen are species with a significant presence along with the rowan, small tree that occupies the scrubland on the slopes, and as for bush, there are gorse and heather. Regarding the fauna, in the water of the lake trout and catfish abound, while in earth remains a rich variety of animals of all kinds from vultures, eagles and other birds of prey, wild cats, deer and wild boars , a wolf, deer, foxes, rodents and reptiles ... etc coexist in this space full of natural value. 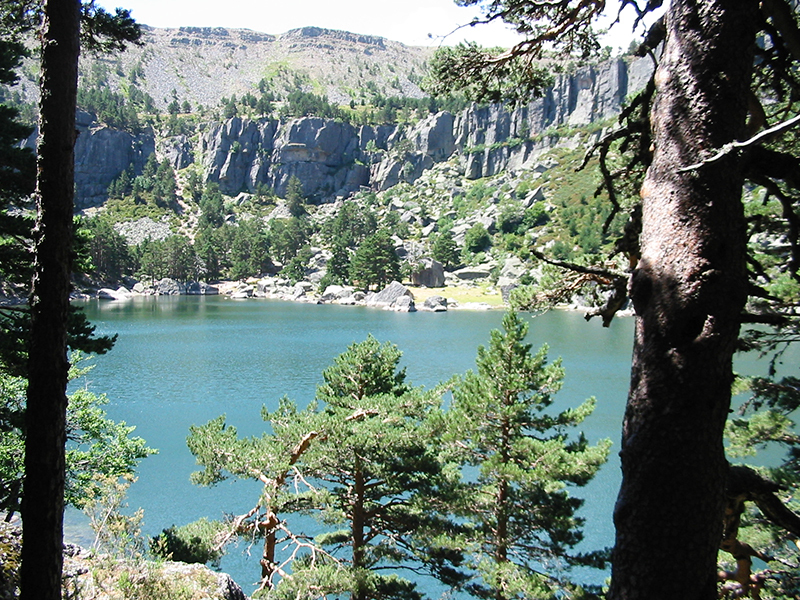 This land bordering the provinces of La Rioja and Burgos is dotted with glacial lakes as frost, Urbión, Long and Black. The latter the most prominent and well known of all has been the source of inspiration of poets like Antonio Machado and Gerardo Diego. 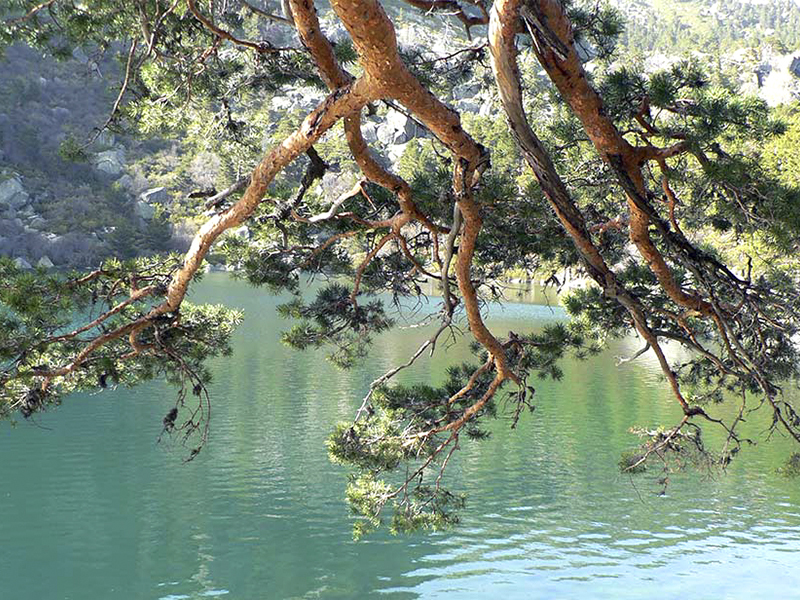 According to the legends, the Black lagoon is bottomless and communicates with the sea through caves and underground streams. They also say that there is a being that lives in its bottom and that devours everything that falls into it. But the legend of Antonio Machado, "The Land of Alvargonzález", the most widespread, which emphasizes the absence of background, is that Machado wrote in 1912. The reality is that its maximum depth does not exceed 8 meters. Each year on the first Sunday of August is celebrated in the Lagoon, a traditional Swim across, bringing together a large number of participants for whom their icy waters not supposed inconvenience. 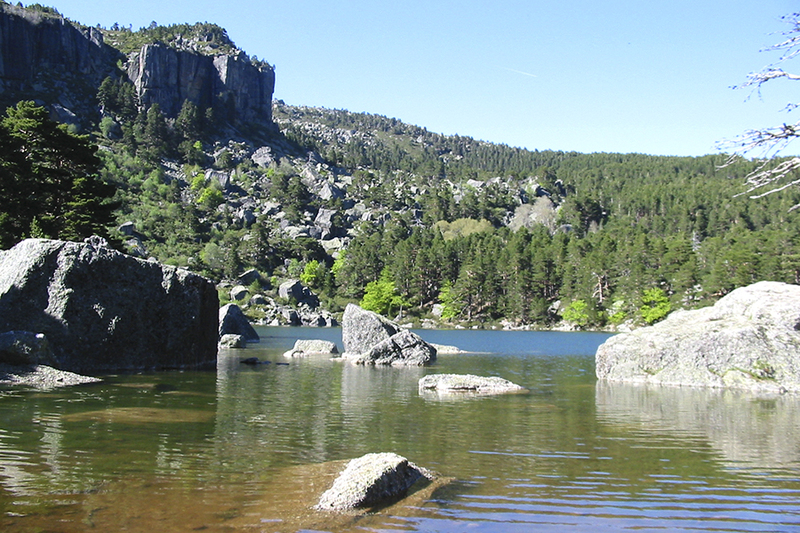 Peak Urbión, which crowns the province with its 2229 meters, gives life to a boy at birth Duero growing across the Iberian peninsula, looking the Atlantic Ocean to reach die Oporto, Portugal.